The home is a place for rest, relaxation and entertaining. 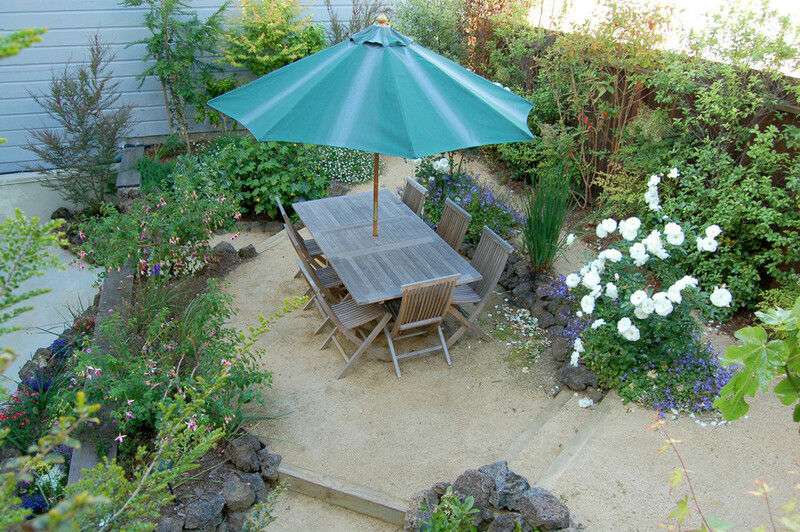 A garden is the perfect place to demonstrate your hospitality. 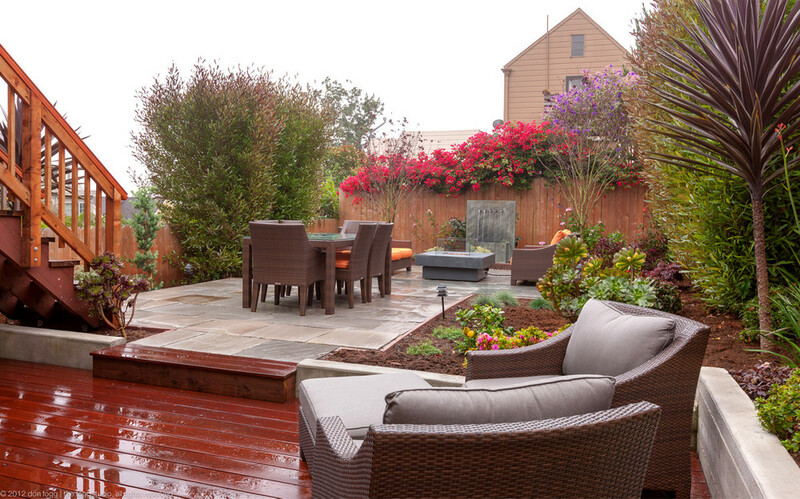 By creating a warm and inviting outdoor space, family and friends can enjoy time together all year round in our temperate Bay Area. 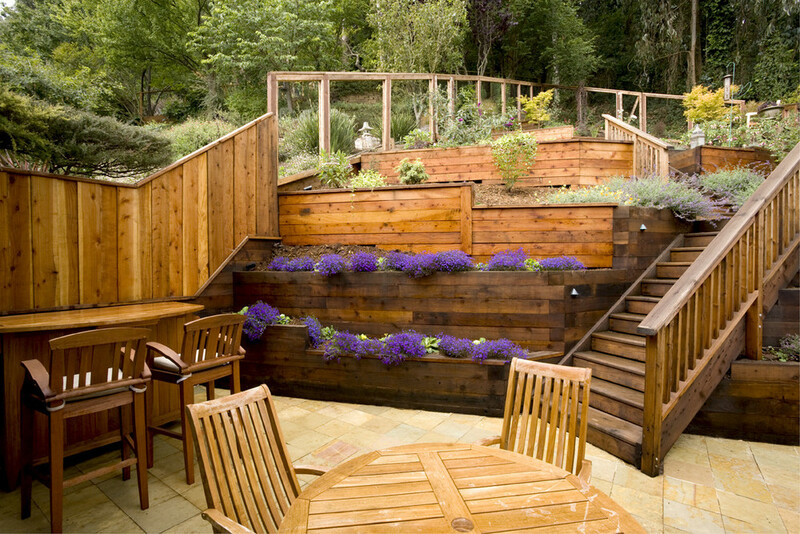 Adding a cozy seating area, hot tub or fireplace are only a few ideas for creating the perfect entertaining space. We transformed this unusable hillside into a livable space with a city wide view by establishing terraces and comfortable stairways. We also incorporated small patios and space for an outdoor kitchen. 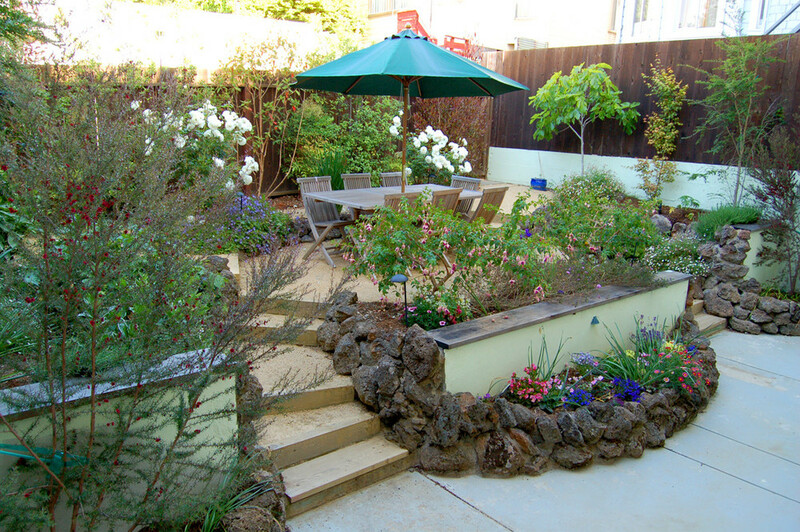 By removing rock and soil, we were able to reduce the height of the retaining wall. This created a cozy entertaining area and made the space safer and more fun for the children. 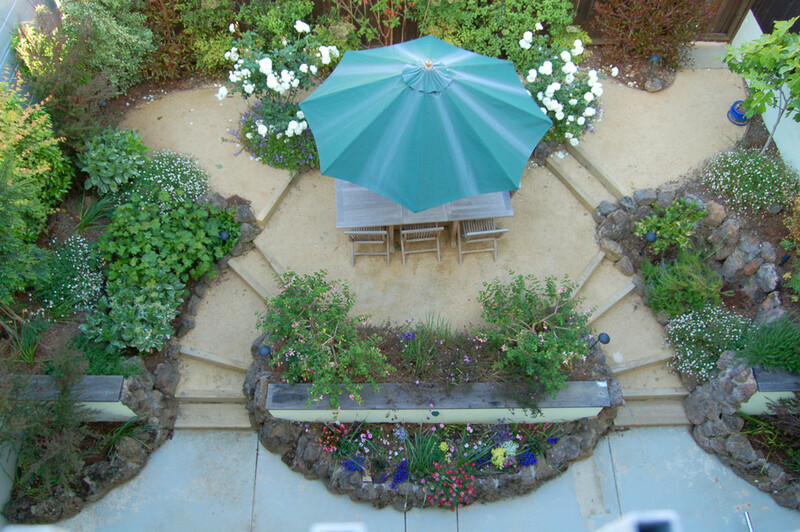 "Our outdoor space was virtually unusable because it was unsafe for the kids ... Janet and her team created a safe play space for our children and a beautiful viewing garden."